Churn Dash, found in the perpetual calendar, 365 Quilt Blocks a Year by Nancy Martin, is drafted from a 5 x 5 grid. My intent is to introduce you to the Churn Dash block. There is so much more one could try simply by experimenting with alternate blocks, value and color, and different borders to completely change the look. For instance, I am not a fan of the corner blocks in the border, so I’d switch those out. And I might add another plain border. And how about a different color scheme? So many possibilities! You could play with design using graph paper, but it is so much easier to use Electric Quilt. Either way, have fun! 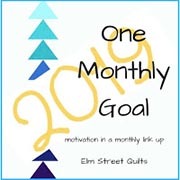 This entry was posted in Uncategorized and tagged churn dash, Electric Quilt, EQ7, LCsCottage, Nancy Martin Calendar, patchwork, quilt block, quilting. Bookmark the permalink. Love the one with a few plain blocks … like it being calmed down!